Touchless bio sensor technologies and market - Touch Display Research, Inc. When I was shopping at Bed Bath & Beyond recently, I saw this S+ sleep sensor. It’s made by ResMed based in San Diego. ResMed claims it is the world’s first non-contact sleep systems that helps you analyze and improve your sleep. There are wrist-wear bands in the market that can track your sleep pattern, but a touchless (or called non-contact) bio sensor is more comfortable and convenient. Touchless bio sensors were widely used for human safety, hygiene/cleanness, security, health, convenience, authentication and entertainment. From gesture control to voice command, from eye tracking to human motion sensor, Touch Display Research analyzed over 200 leading manufacturers, system integrators, and brand companies working in this field. In the “Touchless Human-machine-interaction” report, we forecast the touchless bio sensor market will reach $42.6 Billion by 2020. 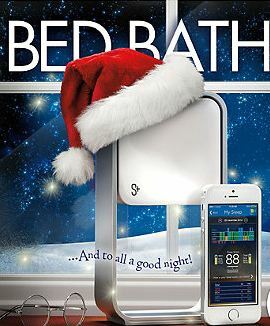 This entry was posted in touchless control and tagged Bed Bath & Beyond, bio sensor, contactless, non-contact, ResMed, S+ sleep sensor, touchless, touchless human machine interaction on December 5, 2014 by jennycolegrove.